These frequently asked questions are offered to save you time. Select a Category and quickly find the answer to your question. If you have further questions please contact us. 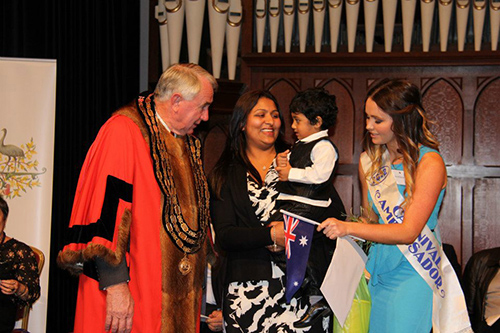 Question: RN Teena Thomas is now an Australian Citizen! Myth: The Australian Government wants to stop overseas workers taking Australian jobs. 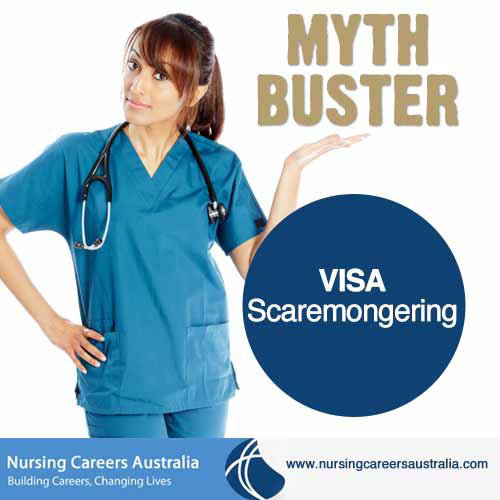 Fact: Nurses with 457 Visas remain on the critical shortage list in Australia AND remain in high demand. 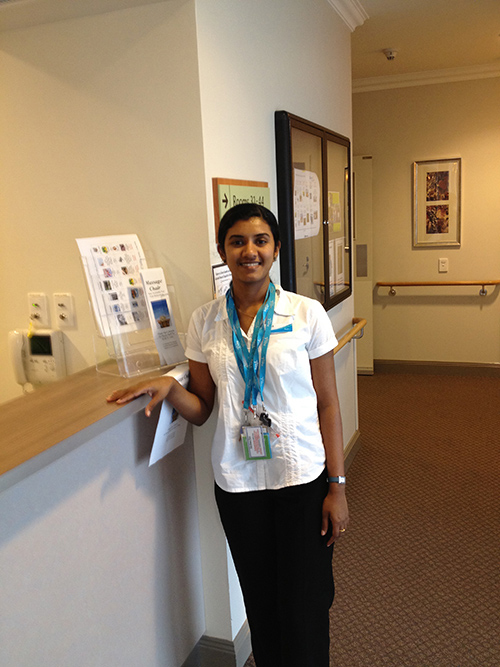 Read here about the exciting career opportunities for overseas nursers working in Australia. Question: what will be my approx. salary once i starts working. Question: When you came to cochin and did brief us you said , the nurse will get a job offer before she leaves india. But now in the contract it doesn’t mention the same. we will be conducting interviews soon. Question: May i know under what all circumstances the cbap provider doesn’t enroll the nurse and the nurses registration board refuses to register the nurse? Question: is my airfare (india to australia), medical and xray in india for immigration and 456 visa included in $17968? Question: Is there any hidden charges other than $ 17968, which I have to pay other than, increased charges by key external providers? Question: Approx. in how many months after the CBAP program will he be able to join me? Question: If I am married after I start work how will my husband be able to migrate to Australia? Question: If I have to pay for my spouse’s visa how much is the amount? Question: Is it a family visa? Do I need to apply myself, for another visa for my spouse? Question: After completing the CBAP program how much time will take before you are granted a working visa work visa? Question: Could you please tell me the approximate amount of rental expenses, lease preparation fees and rental bonds for an accommodation? Depends on how you choose to live. Most nurses share accommodation (after you pass the course) before their family arrives in Australia. In this case the most you would pay would be $125-175/week for 2 nurses sharing accommodation. If you have a place for just you and the family rent can be between $200-$350 depending where you live. Sydney is more expensive than other cities and certain areas of Sydney are more or less expensive than other areas. We have nurses in an exclusive area of Sydney paying $350 rent per week, and nurses in other areas pay $200 rent per week. It will depend on where you work as to where you live. Question: Will I be able to call my home and how much will it cost? Question: Will I be able to visit a church of my religion? Question: What can I do in my leisure time? Question: What type of entertainment is available in Sydney and other cities? Question: Will I be able to buy food from my country? Question: How will I travel to work and for shopping? Question: Is there public transport and what does it cost? Answer: You will be located close to bus and or train transport which runs frequently and is reasonably priced. Train and bus tickets cost between $3 and $5 per trip depending on the destination and distance. Question: What happens if I get sick during the course? Question: Do I have to take care of my food – at class, in clinical work, and other times? Answer: There will be cooking facilities in your accommodation and you are expected to purchase food (with the money we give you each week) and cook for yourself, or as a group. Most nurses prepare food for their lunches and take this to class and clinical postings. Question: What is the detail of my living costs? Question: What is the detail of my accommodation costs? In Sydney you would normally pay $300/week for similar accommodation. Phone Calls: $4 per nurse/week (this is cost of using the phone in the accommodation premisies for local calls only and does not include the cost of mobile calls or long distance calls). Utilities:$16 per nurse/week (includes cost of services; water rates, electricity, Gas, billed to accommodation premises, in many cases this will not pay all the bills, but you will not be billed for more). Maintenance:$24 per nurse/week (includes cost of cleaning accommodation premises weekly by outside contractors, and maintenance that will be required from time to time on appliances, lights, garden, grass cutting etc. this is below what it will cost us). Question: Why are my costs higher than that required for students on student visas? Question: How much will my accommodation and living expenses be? Question: What type of costs might you agree to pay in addition to budgeted costs? Question: What costs are not included? The costs not included, will be specified in the services agreement you sign with us. We cannot anticipate every cost you might incur, in which case we will assess the need and decide at the time. Question: Do I have to take extra money from my pocket for food while doing the Competency Based Assessment Program (CBAP)? Question: How do I enrol in a CBAP Course? Answer: Contact Nursing Careers Australia and we will first assess you, and then advise you on the best course of action. Once agreed and decided and you have entered our programme we will apply for registration and ultimately enrol you in a CBAP course if required by the State Nurses Board. Question: How are Nurses Assessed in CBAP Courses? Question: What is the duration of CBAP Courses? Question: What other courses are available that leads to Australian registration? Question: When can I undertake this CBAP Course? Question: Where will the assessment take place? Answer: The assessment is undertaken in the State where you applied, and an appropriate visa for Australia will be required. Assessment takes place in Board approved classrooms, Nursing laboratories and hospitals. The institution conducting the assessment program may have other entry requirements. If there are additional requirements you will be advised at the time of referral to the assessment program. Question: Who is required to Undertake CBAP? Question: Why am I required to undertake this course if I am already registered as a nurse? While some applicants may be able to obtain registration or enrolment on the basis of their education and experience, many applicants are required to demonstrate competence and safe practice. This is done by your successful completion of an assessment program for nurses or midwives. If the Board requires you to complete this assessment program, you will be referred to the program and be issued a letter from the Board. Question: How will I be assessed in these courses? Question: What is a Competency Based Assessment Program (CBAP)? Answer: State Nursing Boards have approved courses which assess the competency of nurses to practice. These courses are sometimes referred to as “Pre-Registration Programmes” or “Bridging Courses”. Question: Will I need to complete a Competency Based Assessment Program/Bridging Program? Question: What is a Practicing License? Question: What is an Initial Registration Certificate? Question: Who can certify documents? Question: What is a ‘Verification’ of Registration? Question: What type of conditions will be imposed? Question: Once I am accepted for registration, what is the next step? Question: Why is time so important in applying for Australian nurse registration? Question: How long will it take if I apply thru Nursing Careers Australia? Question: Why can’t I apply for registration independently on my own? Question: If I apply for registration will I be guaranteed registration? Question: How will I know if I can be registered by a State Nursing Board? Careers International will give you a full assessment of your prospects and advise you on what course of action to follow. Undertaking a longer degree course such as a BSc in Nursing. Question: How do the Nurses Boards of Australia decide if they will register me? Question: What is the Australian Nursing and Midwifery Council Incorporated (ANMC)? The ANMC is a peak body established in 1992 to facilitate a national approach to nursing and midwifery regulation. The ANMC works with state and territory Nursing and Midwifery Regulatory Authorities (NMRA) in evolving standards for statutory nursing and midwifery regulation. The ANMC does not have the power to register nurses. Question: What do I do if I want to be registered in more than one state/territory? Question: What documents will I require to present to the State Nursing Boards? Question: What are the requirements for English Language in Australian Nursing Registration? Question: How do I become registered as an Australian Nurse? Question: How many State Nursing Boards are there in Australia? There is one Nurses Registration Authority in Australia. Nursing and Midwifery Board of Australia offices are located in each state. Question: Is registration as a nurse in Australia necessary? Answer: Every nurse and midwife is required to obtain registration and maintain a current practicing licence (authority to practice) in order to work in Australia as a Registered Nurse /Registered Midwife. In Australia, registration is granted by each individual state and territory Nursing and Midwifery Regulatory Authority (NMRA). To register you will need to contact the Nursing and Midwifery Regulatory Authority in the state/territory in which you would intend to live and work or Nursing Careers Australia, and we will advise you.